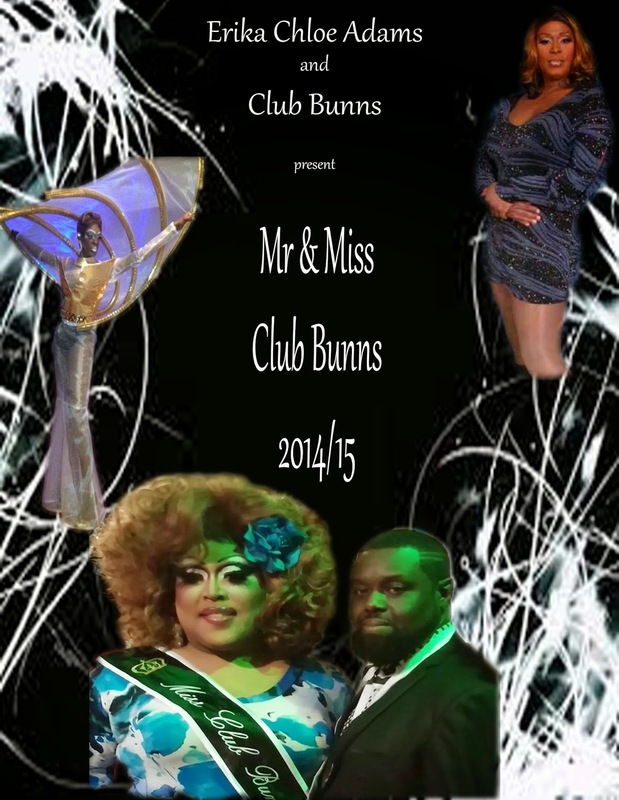 This year the Mr. and Miss Club Bunns Pageant had a brand new promoter a brand new look and a night filled with crowns, wigs, and handsome gentlemen. 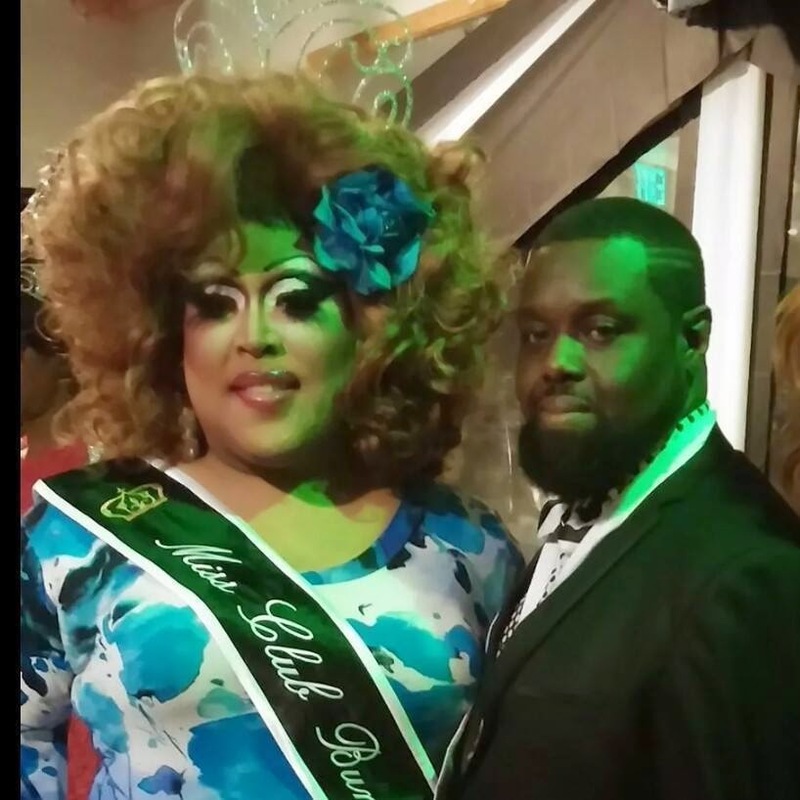 The stage was set for the 2014/15 Club Bunns Pageant to be high fashion, when new promoter Erika Chloe Adams was named new promoter of the Pageant. 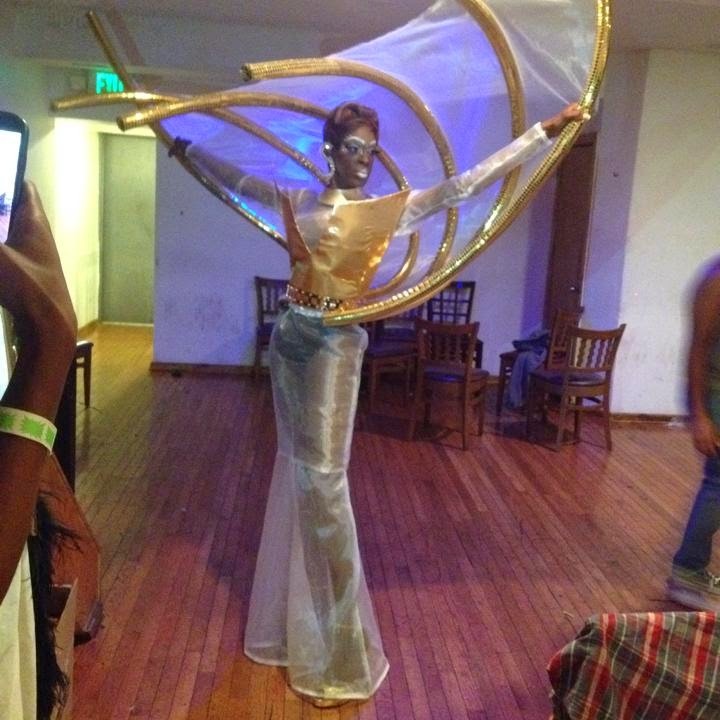 She set out to make this years pageant run smoothly and at the same time give a great show. Contestants came from all around and included second time around Cast member Kayden Chloe, Eva Blue, Nicholas Noir, Lajohn Trinity and Dalonte France who all came with their guns loaded and ready to fire their weapons. Out going Queen Naomi Chloe graced the stage two times as she prepared to give up her crown to the next deserving queen. Naomi had this to say "Wow, can't believe my reign is over already. This past year has been on of the most exciting experiences of my life. I've gained new friends. Lost old friends. Met all types of people. Performed at all types of venues and on all types of stages. I've touched lives and had mine touched. I've been uplifted and let down. I've been talked about and praised. I've taught, studied, and learned. I've even broke out of my comfort zone. But most of all, I've grown. As an entertainer, a professional, and as a person. For this, I have to say thank you." and went on to say, "To my "Second Time Around" monarchy, Jamita, Tania, Helena, Liyah, Ms. Cookie and Big Nasty, I love all of you to pieces. You guys had my back when others turned theirs. Erika Chloe, sister, girl. All those late night, early morning phone calls, texts, and emails. Getting on each other's nerves. And still being able to be mature enough to remain coworkers, sisters and friends. I love you so much. But no really call the next King/Queen when you get random show ideas. Lol. Kayden and Ronald, my daughter and son-n-law (side eye). Two of my biggest supporters. You guys are my backbone and ribs. I know I couldn't have gotten through this journey without the help from you. Thanks for always being available when I needed you. Thanks for seeing me as a parental figure. I owe you guys and I love you with my entire heart. Last but not least. Thanks to my mentors, my road dogs, my motivator, my mother and my aunt/sister, and my wardens, Akasha Cassadine and Sabrina Blue. You guys have challenged me to challenge myself."